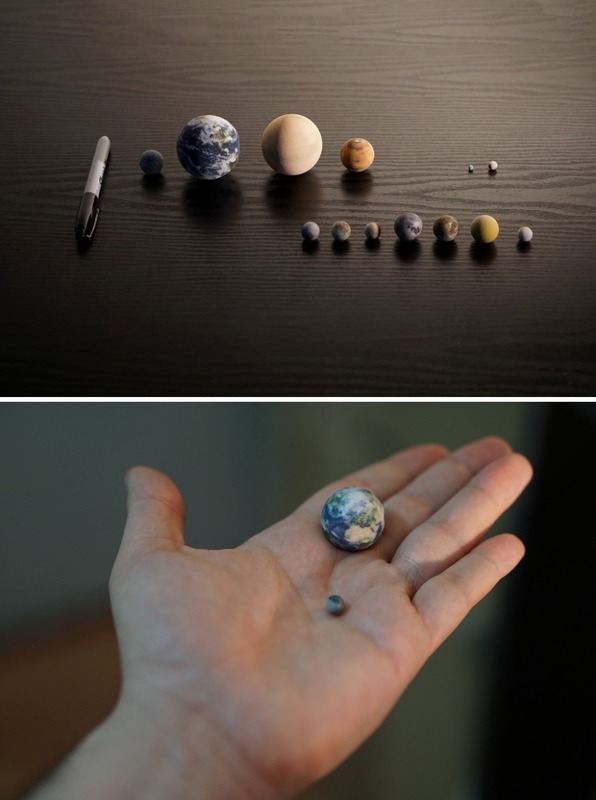 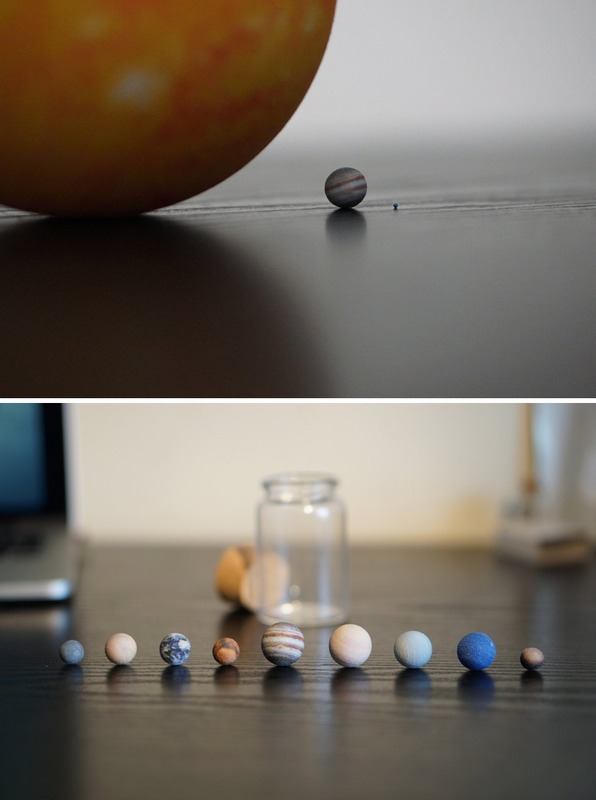 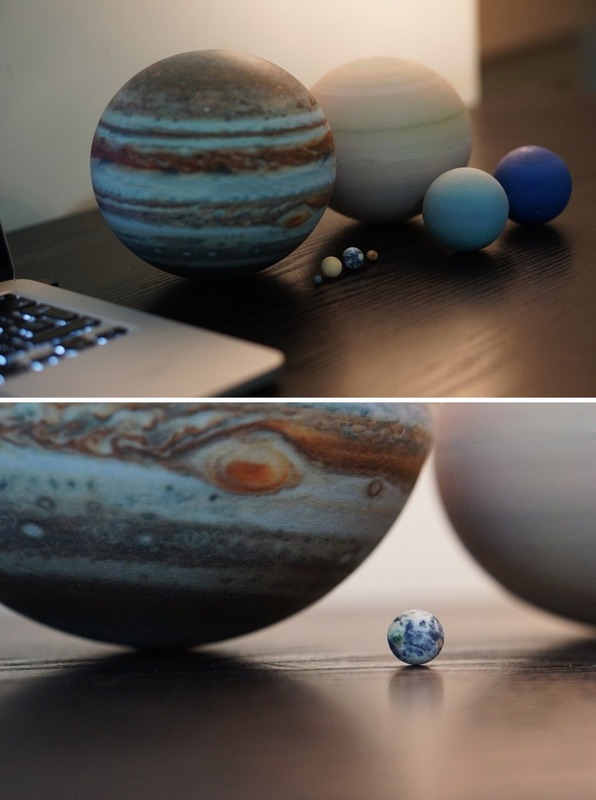 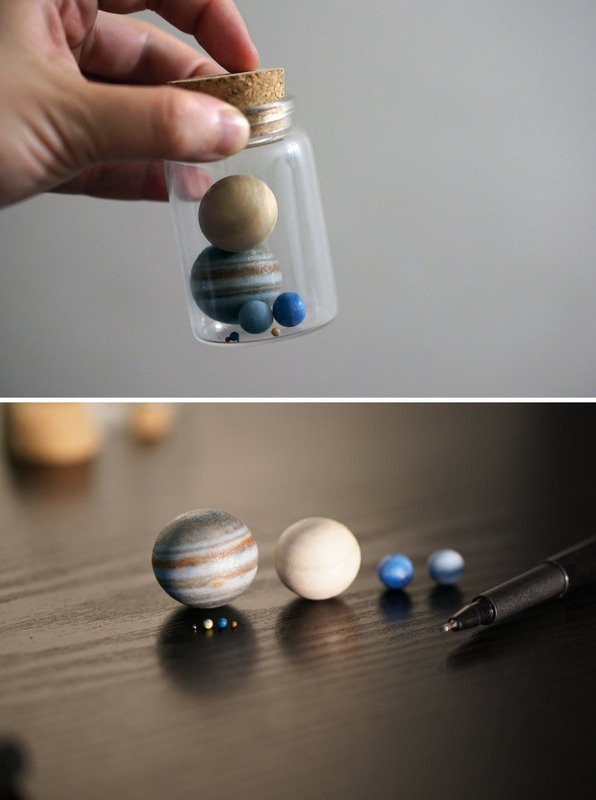 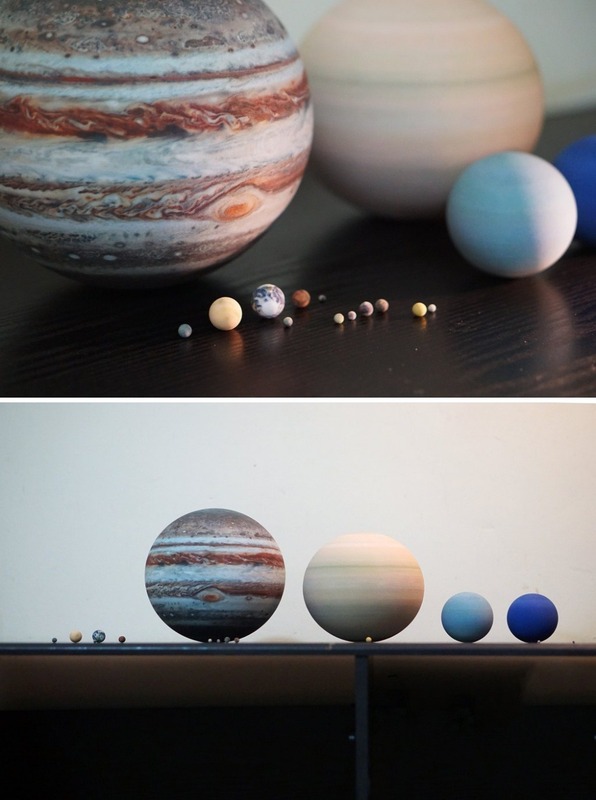 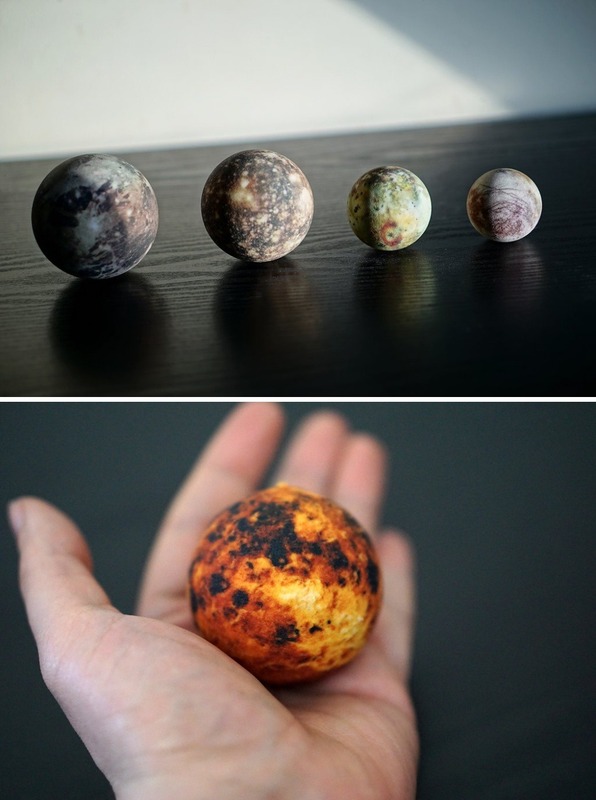 George Ioannidis of Little Planet Factory has created a wonderful line of high resolution miniature planets, moons and solar systems (1:1.5 billion, 1:1 billion, or 1:0.7 billion), each of which are made to scale using a unique 3D printing method along with a bit of hand artistry. 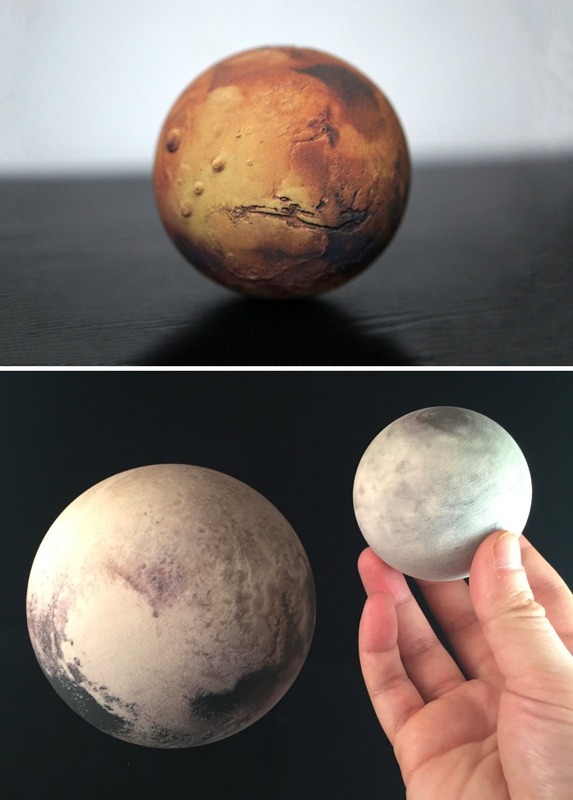 Ioannidis’ work is available for purchase through his site and through his Etsy store. 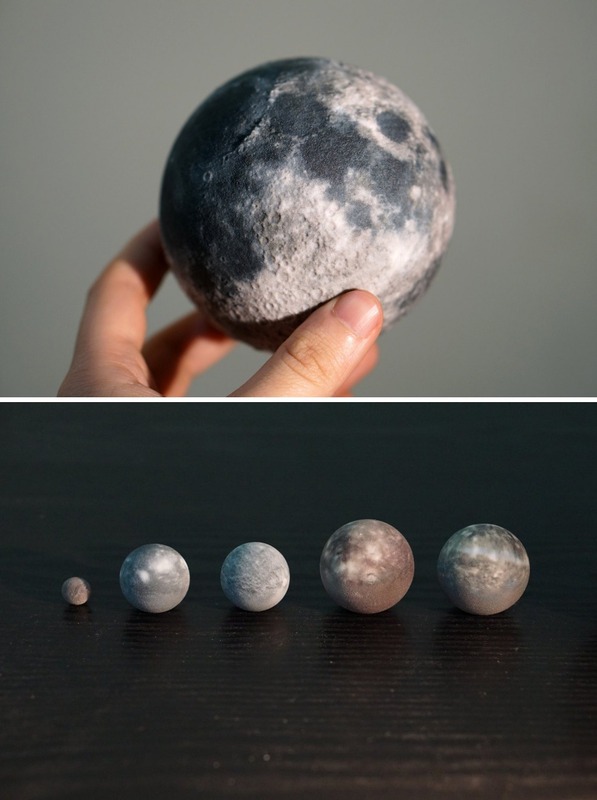 When it is time to make a globe, the model is not cast or moulded rather downloaded to machines able to construct it out of dust sized particles from the bottom up layer by layer, placing both colour and geometry accurately. 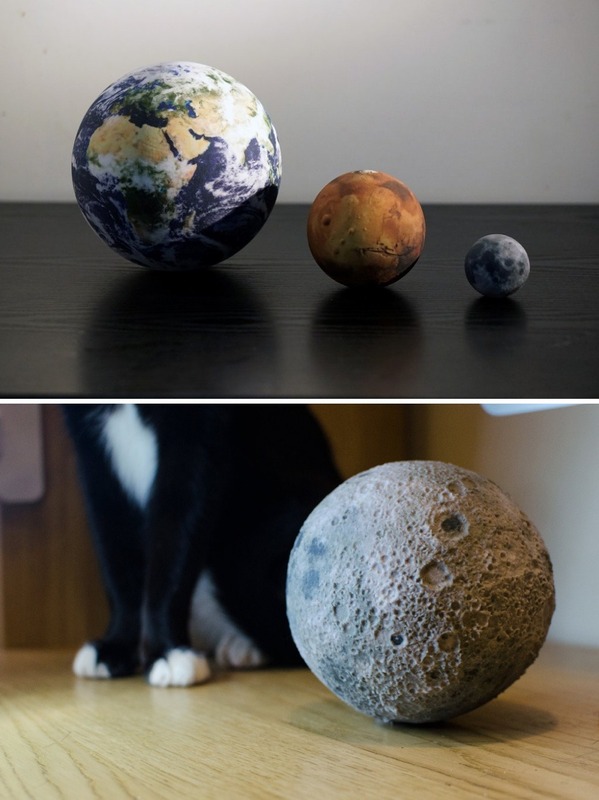 What this means is no equatorial seam, custom sizes & scaling and impossible to traditionally manufacture full colour details. 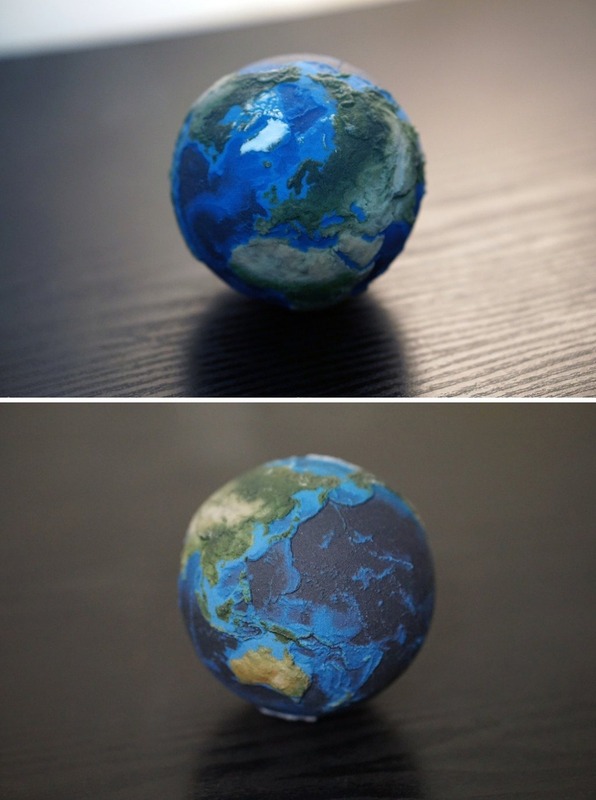 After construction is complete, each globe receives a manual inspection and a hand applied layer of protective coating before being securely packaged for dispatch.